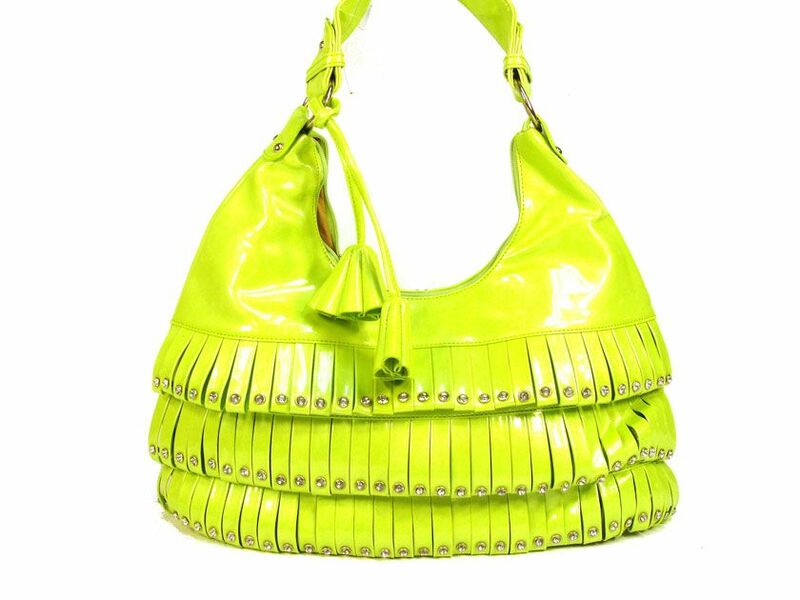 Wholesale Handbags #9612-gr PVC fashion Hobo Handbag has studded details has a metallic texture, a top zipper closure, and a single strap. Made of faux leather. PVC fashion Hobo Handbag has studded details has a metallic texture, a top zipper closure, and a single strap. Made of faux leather.